AMD's latest Catalyst Beta offers several performance improvements including peak performance for Dragon Age: Inquisition and Far Cry 4. This release enables peak driver performance optimization for AMD Radeon graphics users in Dragon Age: Inquisition and Far Cry 4. Up to 5% performance increase over Catalyst 14.11.1 beta in single GPU scenarios with Anti-Aliasing enabled. Up to 50% performance increase over Catalyst 14.11.1 beta in single GPU scenarios with Anti-Aliasing enabled. The AMD CrossFire profile for Far Cry 4 is currently disabled in this driver while AMD works with Ubisoft to investigate an issue where AMD CrossFire configurations are not performing as intended. An update is expected on this issue in the near future through an updated game patch or an AMD driver posting. : Small chance of intermittent screen tearing or corruption in Call of Duty: Advanced Warfare on high settings 4K resolution in AMD CrossFire mode. : World of Warcraft can sometimes exhibit corruption when using CMAA in AMD CrossFire configurations. : Minecraft sometimes produces corruption when changing video settings in windowed mode. : XDMA Quad CrossFire configurations in portrait Eyefinity modes sometimes display tearing or stuttering. : System can sometimes hang when upgrading to Catalyst 14.11.2 from Catalyst14.7 in AMD CrossFire configurations. As a workaround please completely uninstall previous Catalyst software versions before installing Catalyst14.11.2 beta. : Slight performance drops in FIFA 2015 on AMD CrossFire configurations. : Occasional flickering sometimes observed while playing FIFA 2015 in AMD Dual Graphics configurations. : Slight Battlefield 4 performance drop on AMD Radeon R9 290X in AMD CrossFire configuration. : AMD Radeon R9 285 intermittently hangs in Hitman Absolution on new game start. 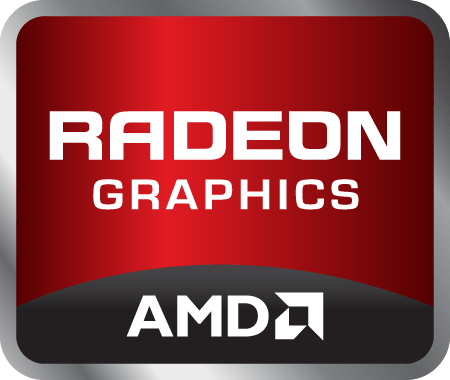 : AMD Radeon R9 285 can sometimes exhibit flickering in Assassins Creed Unity. : Assassins Creed Unity can sometimes experience frame stutter on some AMD CrossFire configurations. : Call of Duty: Advanced Warfare intermittent black screen when loading game in Quad AMD Crossfire configurations. : Civilization: Beyond Earth mantle users in AMD CrossFire configurations may sometimes experience an issue where they cannot change their game resolution. As a work around please use "Enable MGPU=1" in the games configuration .ini file. Flickering is sometimes observed in Dragon Age: Inquisition on a limited number of surfaces in AMD CrossFire configurations. Uneven hair corruption sometimes observed in Assassins Creed Unity when applying "ultra" game settings. Flickering occasionally observed between windows on walls in Assassins Creed Unity. Windows/Doors intermittently flash with black textures in Assassins Creed Unity. Assassins Creed Unity occasionally exits to desktop when "ultra" game settings are applied.